Make a backup copy of the file MSExchangeMailboxReplication.exe.config. I have a habit of creating a file copy and naming it <filename>_backup but that’s just my approach. Use your favorite text editor and open MSExchangeMailboxReplication.exe.config. Feel free to look through the rest of the parameters in this file, you will see that there is plenty more parameters you can change. 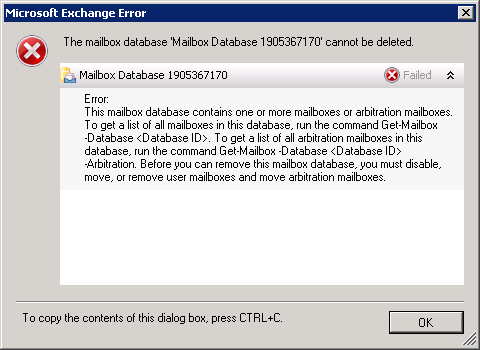 Please note that changing these values and allowing more simultaneous mailbox moves etc. increases the load on the server. Change these values with care and do not add extremely high numbers. As a final note, this is not the only thing affecting moves, server performance is a big part of it and especially disk performance. So even if you change these values you might not get a better result. Thanks for reading and do not hesitate to let me know if you run in to any problems! So, good luck with the moves and please let me know if you bump in to any problems, thanks for reading!